I offer songwriting mentoring sessions, both private and group. My expertise includes: live performing, the music industry, making demos, navigating the recording process, finding your voice, setting goals, and the craft of songwriting. I can tailor classes to fit individual needs, create a fun, safe and positive atmosphere for stretching boundaries, and help to make some dreams come true! Sessions can be scheduled when I am in your town or via Skype. ….Ed Pramuk – Student, Music In The Mountains, Colorado. 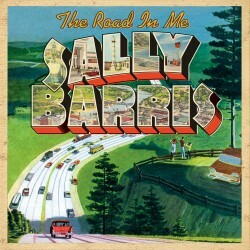 “Besides being a fantastic artist and songwriter Sally Barris has really got a talent for teaching. My students were both inspired and nailed by her clinic where she combined singing her songs with talking about the art of songwriting, giving useful tools and hopeful insights from her professional experience. ….Noelle Wainwright Warner- Student, Nashville Tn. “Sally Barris is a wonderful mentor; however, I have found that she is also a life coach. ….Jamie Prosser -Student, Nashville Tn.